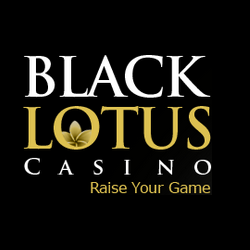 Along with its regular promotions, Black Lotus Casino offers players spicy gifts and Eggciting Holiday Offers. There are a number of great match deposit bonuses and free spins available at the casino this December. Start out with the Black Lotus Casino’s Spicy Gifts Which Keep Giving. Decorate a virtual gingerbread house with tasty candy. Get what you need for your scrumptious creation at the casino. Stand the chance to win a sweet treat on Monday, 17th January 2019. For now, claim match deposit bonuses and free spins up to once a day. Enter the bonus code CANDYCANE for a 90% match deposit bonus offer up to $500. In addition to this, make a deposit of $30 and enjoy 60 free spins on the Sweet Success slot game. Redeem the free spins with the JUJUBES bonus code. Not only do you need candycanes and jujubes, you also need icing and lollipops. Get a 95% match deposit bonus up to a maximum of $200 with the bonus code ICING. Add in a $30 deposit for another 60 free spins on Sweet Success with the LOLLYPOP bonus code. The final daily offer in this promotion adds in mints and jellybeans, both great additions to a gingerbread house. Enjoy an 80% match deposit bonus offer up to a total amount of $400 with the bonus code MINTS. After that, a $30 deposit brings you 60 more free spins on the Sweet Success slot game. Redeem the free spins with the JELLYBEANS coupon code. As the casino notes, there are Eggciting Holiday Offers, and it’s no yolk! The eggnog special offers get yummier and yummier each year. These tasty offers last until Monday, after which there are sure to be more great opportunities for you. Warm up your seasonal preparations with an 80% match deposit bonus offer up to a huge $500. Redeem this offer with the coupon code EGGNOG. Once you complete the match bonus offer, there are free spins in store for you. Black Lotus Casino gives you the option to choose free spins on either Double Trouble or on the Big Game slot. Choose 25 free spins on either Double Trouble with the code CINNAMON, or on Big Game with the code NUTMEG. Whichever tasty choice you prefer, it is sure to spice your eggnog in just the right way! Last updated by Shannon on December 11, 2018 .